As far as hair and skin products go, I actively look for brands and products that can visibly and over time address my specific complexion and scalp concerns. As a skincare junkie, I won’t shy away from a pricier item if it proves to have a lasting impact on my self-care routine. 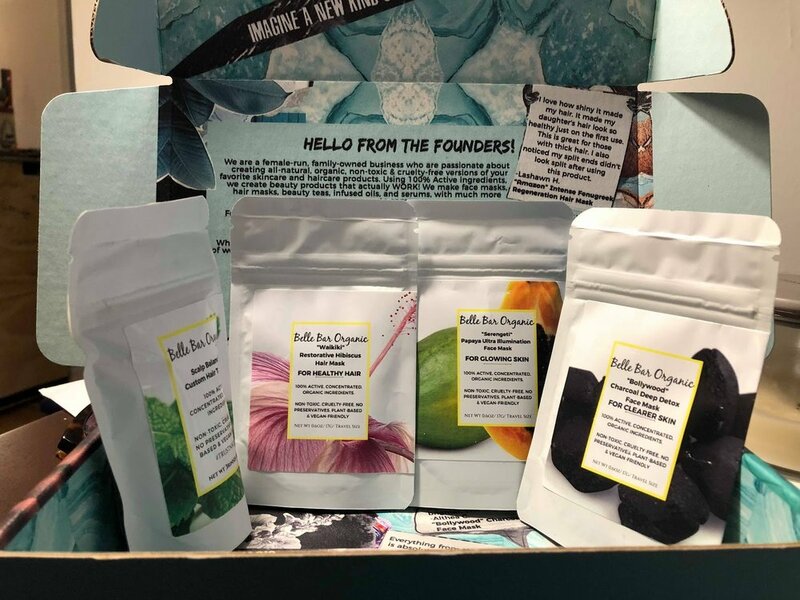 Added bonuses include eco-friendly packaging, all-natural extracts and positive strides made by these brands—such as locally sourcing ingredients, donating part of their proceeds to charity or even making the conscious choice to truly be an equal opportunity employer. Belle Bar Organic is one beauty brand that has the potential to hit all of those marks. I had the opportunity to chat with Belle Bar founder, Tianna Bell, on her inspiration for the brand, the company’s environmental missions and the past, present and future of organic skincare trends. Belle Bar masks are made from 100 percent fresh and active natural ingredients, including organic herbs, flowers, fruits and vegetables. The potency and working power of these ingredients is achieved by selling the masks in a dehydrated powder form, which doesn’t allow masks to go bad, dry up, or go to waste when properly prepared. In addition, the mask packaging is either biodegradable or recyclable. I received a one-on-one consultation with Tianna, during which she walked me through their product listings. We also discussed my personal skin and hair needs. From those she hand selected two face masks, a hair mask and a custom-made hair “tea” for me to try. No stranger to the latest trends in skincare, I was excited to get creative in mixing up my own masks at home. After talking to Tianna about my own skin concerns, which include discoloration and uneven skin pigmentation from acne scarring, clogged pores and dry skin, she recommended to me one of their pre-prepared masks for skin clarity. I started off with Belle Bar’s “Bollywood” charcoal deep detox face mask. On a daily basis I use charcoal masks that have additional ingredients and perfumes in them that I can barely pronounce and have mostly never heard of. The difference between this face mask and others that I’ve used is that I eat, buy or know every ingredient on the label. For my first attempt, I decided to use my cupped hands to mix the powder with water, the most basic add-in for a Belle Bar mask. Depending on your skin concerns, Tianna recommends mixing each dehydrated powder with blended fresh ingredients like mango, avocado or other organic liquids like tomato juice, rosewater, aloe vera and honey. Working together the powder and water to form a thick paste, I smoothed it onto my skin. After a few minutes of sitting with the mask, I could feel the charcoal drying and tightening my face in a less aggressive way than many store-bought brands do. Once the allotted time had passed and after some vigorous wiping with a black washcloth, my face was still somewhat grey so I decided to move onto the next mask in hopes that it would help lessen the pigmentation from the last. Tianna chose another mask for me called “Serengeti,” and it serves to promote glowing skin. I am of the philosophy that multi-masking works wonders, so I was glad to have some options to choose from. Ingredients in this mask include rice flour, papaya oil and the hot beauty ingredient of the moment: turmeric. This was my first time using turmeric in a mask, so I was super excited to give it a shot! In hopes that it would help to get some more of the grey charcoal off my skin, I mixed some of Nature’s Promise organic extra virgin coconut oil, also known as ‘The Great Makeup Remover’ into my Serengeti mask. After a messy trial and error with the first mask, I decided to mix this one in a small container to lessen the carnage in my bathroom. Ingredients in each package are very granular, a reflection of how organic they are! Similarly to the charcoal mask, the turmeric mask had a nice, grainy texture to it that also felt very exfoliating. The choice of coconut oil was a welcoming addition as it felt very hydrating on my skin after the charcoal mask. 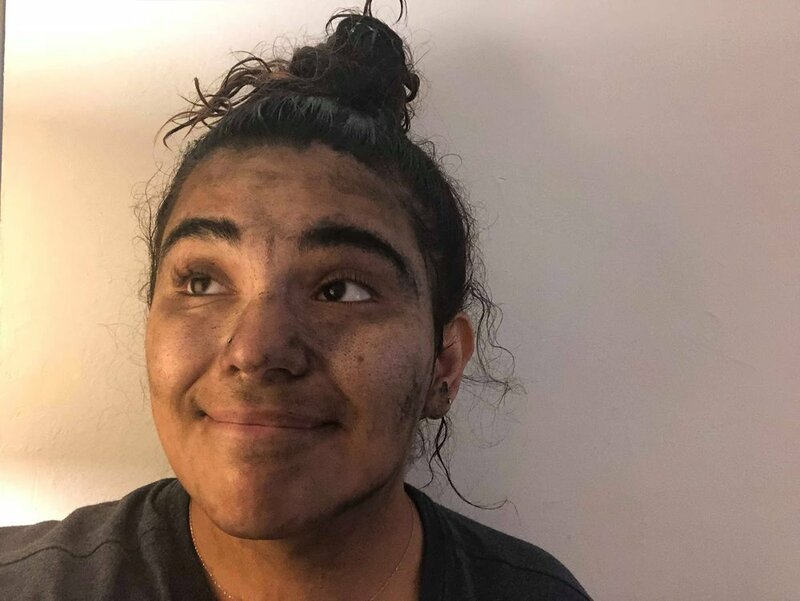 As I had suspected, after 20 minutes of wearing the turmeric mask and rinsing it off, the EVCO ultimately washed away any remnants of the charcoal- instead leaving a yellowish hue to my skin that would fade in time. Because the ingredients in these masks are all natural, I found the level of pigmentation within each ingredient to be very high. Therefore, you may want to stray away wearing light colored clothing or using light colored towels when using Belle Bar Organic products. I’d recommend mixing masks in the shower or in containers and not with your hands. That way the natural dyes can wash off your skin and not onto clean surfaces. For me, the best part of these masks was mixing them together, reminiscent of grade school days of arts and crafts. I’d definitely recommend Belle Bar Organic to anyone who is interested in trying or investing in sustainable beauty practices, or is looking for ways to be more ethically conscious. With Belle Bar there is no “mystery masking” with unknown ingredients, you lessen the waste you create with your beauty routine and you support both small business and local communities worldwide.